The two most important aspects to healthcare are a patient’s health, and the way healthcare providers actually provide care. That’s why one of the major themes at this year’s Association for Healthcare Foodservice (AHF) conference was employee engagement. The most important way any healthcare institution can ensure that their most cherished employees not only stay with the company, but also stay motivated in their daily responsibilities is to lead by example. 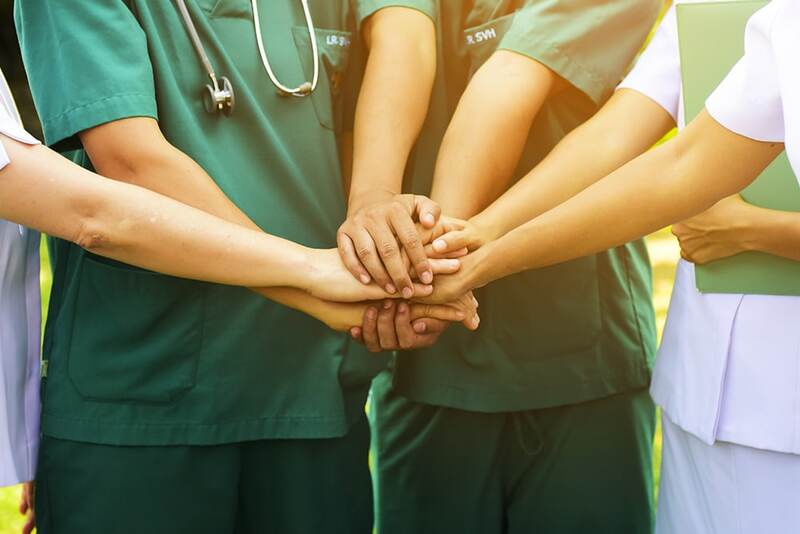 Leading by example in the healthcare industry means putting a distinguishable focus on your employees health, safety, and engagement, at all times to ensure they pay those efforts forward when responding to patient needs. According to the CDC’s Workplace Health Model, “Integrating or coordinating occupational safety and health with health promotion may increase program participation and effectiveness and may also benefit the broader context of work organization and environment.” Similarly, evidence collected from the Ontario Hospital Association’s NRC Picker Employee Experience Survey, which involved more than 10,000 staff members, in 16 different Ontario hospitals, suggests that not only is employee engagement essential to facilitation of a positive work environment, but it also plays a major role in patient care and safety culture, and job fulfillment and satisfaction. Statistics from the survey even show that employees who are more engaged in their work are 90% less likely to leave their position anytime soon, meaning fewer retention problems. Always provide your staff with all the necessary tools, equipment, and other resources they will need to effectively fulfill their expected responsibilities. In leading by example, healthcare institutions can increase morale, employee job satisfaction, strengthen employment retention, and consequently ensure higher quality patient care, all while saving money and making the entire facility a more gratifying place to work for everyone. Call 629.777.8989 or fill in the free consultation form in the sidebar to learn more about how our software can positively impact the lives of the patients and visitors you service every day.